The project features 29, two and three bedroom apartments starting from $530,000. 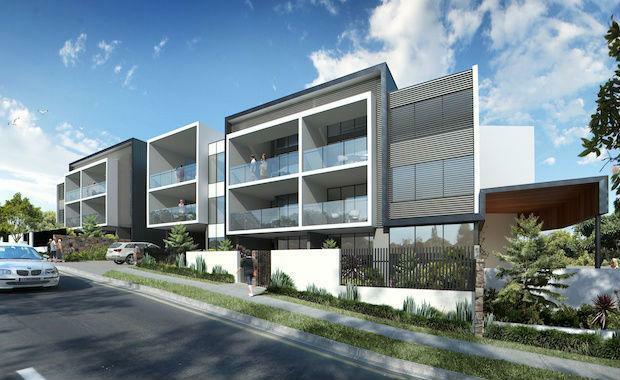 who is marketing the development said the project has impressed many local owner occupiers and investors who have turned up at the recent public launch and opening of the sales office. “Alba Terrace embodies modern apartment living featuring uniquely designed building façade and a hotel-style lobby decorated with pendant lighting and feature wall artwork. The point of difference this development offers can be seen in the larger than normal floorplan designs, big east facing glass balconies, ducted air conditioning, Miele appliances and free standing baths. “The spaciousness of the apartments and balconies, the quality fixtures and finishes and the convenience of five minutes access to the CBD are all features that particularly appeal to the local owner occupiers from who we have received really strong interest thus far,” said Ms Ho. The finishes include bluestone and subway tiles, Italian made basins and frameless glass showers in the bathroom with the kitchens featuring white splashbacks, gas cooktops and oven, semi integrated dishwashers and 100 per cent wool carpets throughout bedroom and living areas. The average size of an apartment including balcony is 152.5 square metres, with the largest three bedroom apartment being 208.1 square metres in total area and selling for $685,000.